About 200 representatives have attended a conference to improve air quality in Hanoi on November 27. Hanoi Department of Natural Resources and Environment collaborated with Live and Learn Vietnam and German Development Agency to organise a conference about strengthening co-operation to improve air quality for Hanoi with 200 domestic and international representatives. The conference aims to strengthen the co-operation among the authorities, private sector, and social organisations. Statistics from the World Health Organisation show that 7 million people in the world die every year from exposure to fine particles in polluted air and 92% of the world population are breathing polluted air. Vietnam is also among the world's most polluted countries. 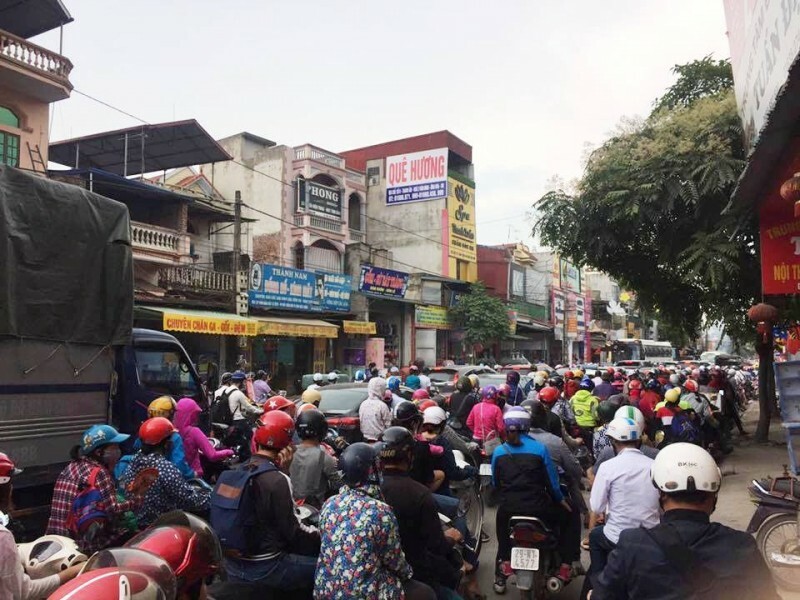 According to Do Minh Khoa from the Institute of Strategy and Policy on Natural Resources and Environment, Hanoi has 8 million population, 6 million motorbikes and 600,000 cars along with various construction projects. It consumes 40 million kWh of electricity and millions of litres of fuel every day. As the result, the gas emission is high. Many proposals have been put on the table at the conference such as the air purification and waste treatment technology. Hanoi Department of Environment Protection said they had carried out several measures to improve air monitoring and management such as the one million trees project and air monitoring stations. However, they need co-operation from all agencies and the citizens and hoped to call for more co-operation via the conference.